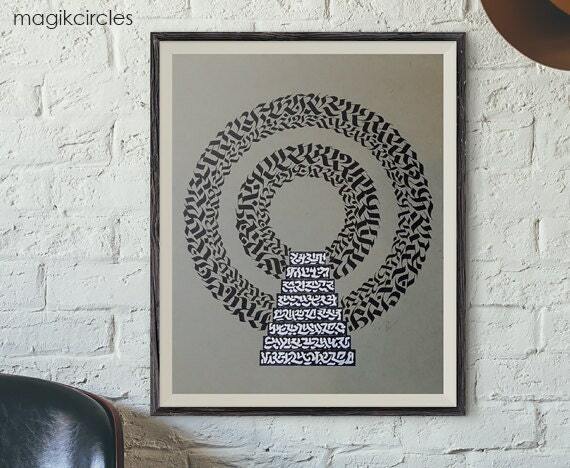 This work depicts a Magic Circle with stairs. Is it a mysterious portal? The artwork pictured has been sold but you will get your own one of a kind original art piece in a very similar pattern and style. This abstract wall art has a sleek minimalist style that is sure to add beauty to any room in your home. Item is hand signed and will be placed in a clear plastic and enclosed in foam and cardboard for protection during shipping. Hello, my name is Ive and I'm the artist behind MagikCircles. 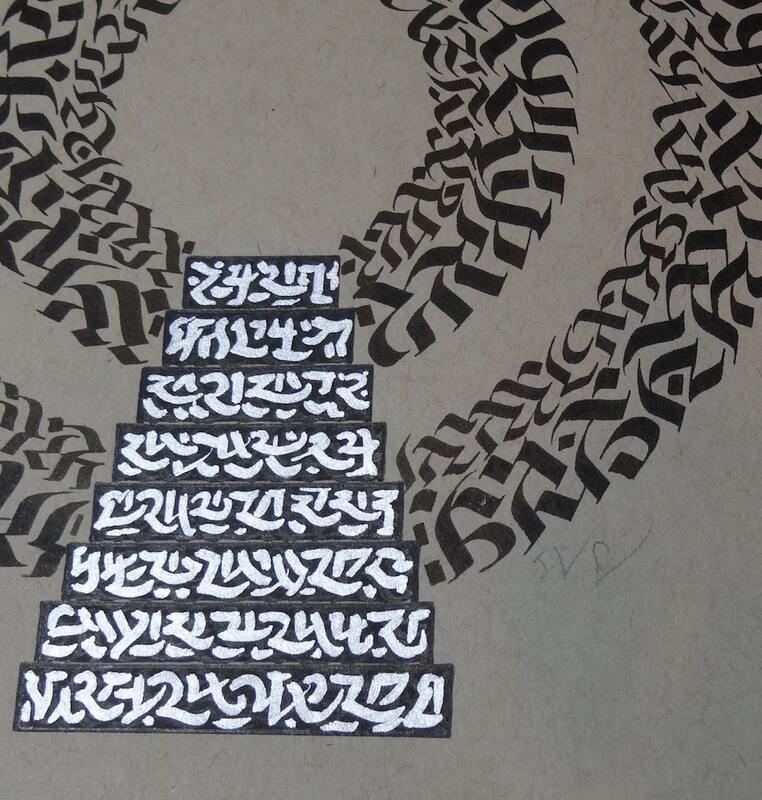 I create hieroglyphic calligraphy squiggles and arrange them in circles as well as many other geometric shapes. 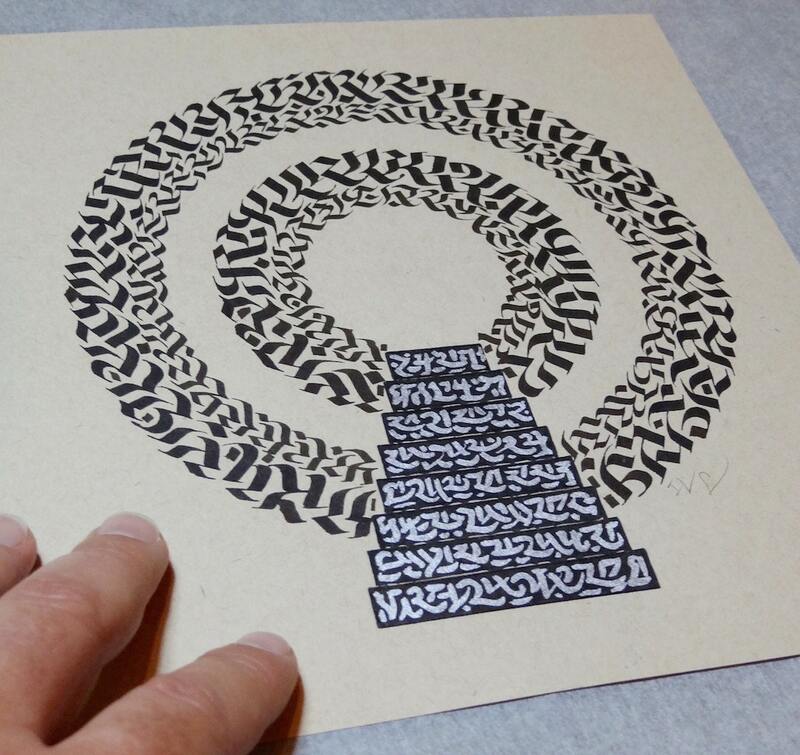 I enjoy exploring the power and meaning of symbols through art. 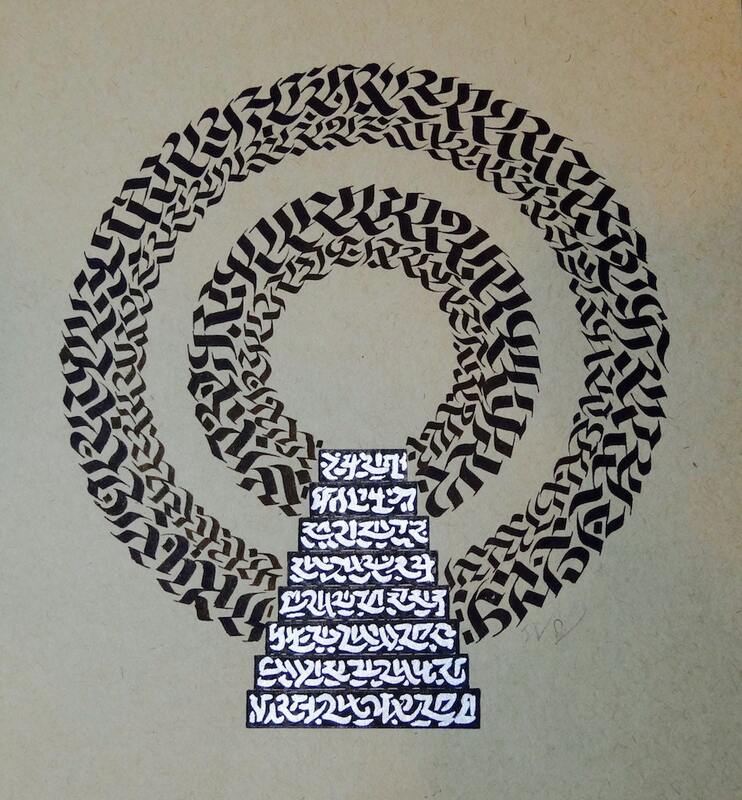 The image above is meant to convey a sense of ascension or transcendence, as the stairs invite the viewer up and into the portal.